When we are out driving our hot rods in the summer, sometimes we take for granite some of the most important things like safety. We build them, make them look great, and make them go fast. But what happen if something drastic happens such as an accident? Did we build in some safety measures such as seat belts? 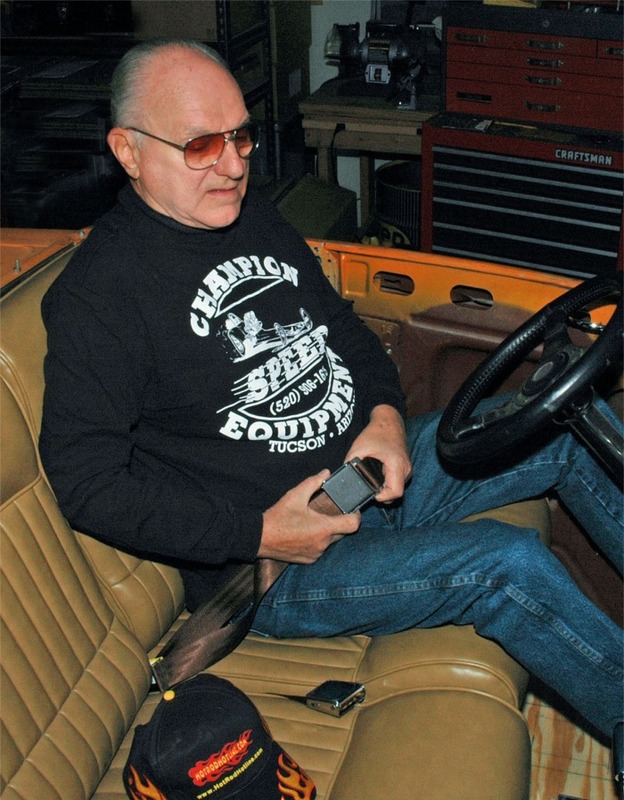 I came across this article on the Hot Rod Hot Line that I wanted to share with everyone. If you were born after the fifties you probably take seat belts, an important safety feature, for granted. But for graybeards like myself they were more of a nuisance than a safety feature on that new ’55 Chevy hardtop that my dad bought. We saw them as just another intrusion into our personal lives by “big brother”. In the ‘60s we installed an Air Force surplus lap belt in Tom McMullen’s ’32 roadster so that we could compete at the drag strips and dry lakes, but they remained beneath the seat cushion the rest of the time. When we did the major rebuild of the roadster, adding the big 427 Ford engine in 1967 for the Popular Hot Rodding Magazine articles, we did add a set of lap belts. 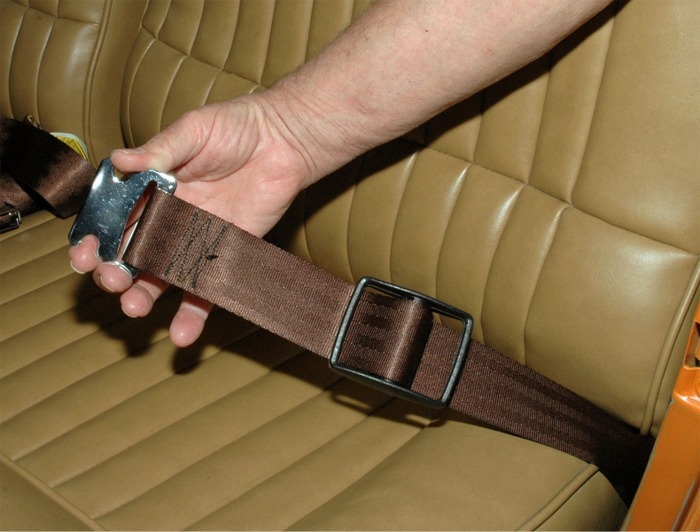 By the ‘70s seat belts were now mandatory equipment on all vehicles and used by many drivers, though still resisted by some even after the failed attempt to make use mandatory in the late ‘60s by wiring the belt’s buckle to an ignition disconnect system. The vehicle wouldn’t start unless the driver’s seat belt was buckled. Some people buckled the belt and then sat on it. I was one of the diehard fools that resisted using seat belts until the mid ‘80s when, while discussing racing with 3-time World Driving Champion Jackie Stewart, he pointed out that seat belts not only protected you from injury, but keep you firmly in place to regain control of the vehicle after the first impact of a crash. This allows you to avoid additional impact with other objects because the first impact is not usually with that famous “immovable” object. Three-point seat belts are the most effective in your everyday “driver” but are not easy to install in my open roadster. So I had to install a set of lap belts in it because I no longer drive anything but a motorcycle without them. To install them I followed the instructions included with the set. First consideration was with the anchorages. All US passenger cars, beginning with the 1962 models, have seat belt anchorages for at least two lap belts in the front seat. 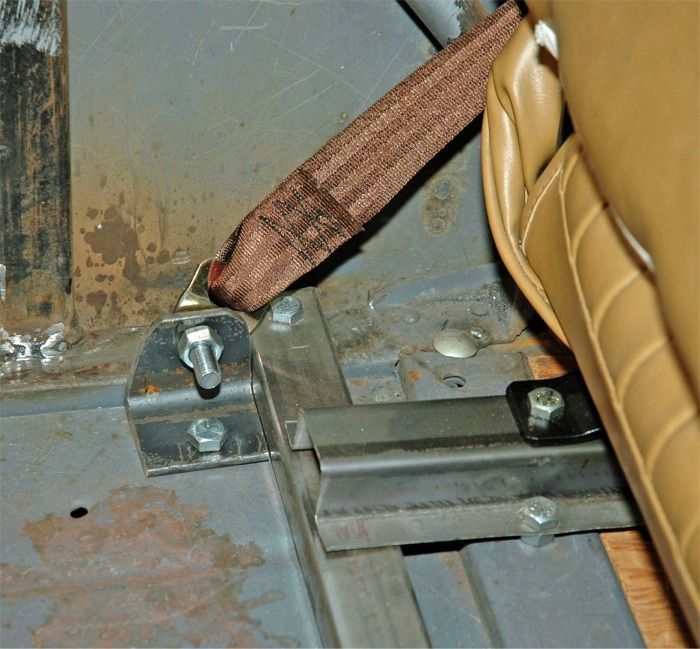 Since January 1, 1968, vehicle manufacturers have been required to install lap belt anchorages for each front and rear seating position and upper torso belt anchorages at each forward facing outboard seating position. On January 1, 1972, this same requirement became effective for trucks. Where the manufacturer has made special provisions to attach belts, be sure to use those fittings. 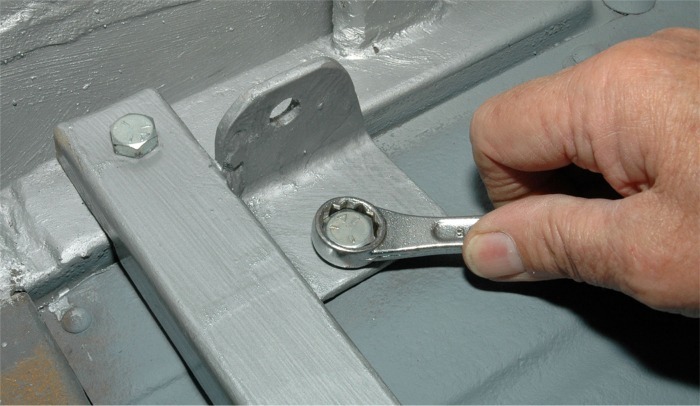 When you use the manufacturer’s threaded floor fittings, it is important that all full-threads be engaged to obtain the ultimate strength of the anchorage. Seat belts should not be attached to the seat, unless the vehicle manufacturer indicates that the seats and seat mounting systems have been specially designed to withstand seat belt assembly loads. However, for vehicles produced prior to 1962, anchorages have to be created. There are excellent and inexpensive kits available for doing this from companies like Juliano’s, but I chose to make my own mounts and weld them to a combination floor support and rear seat channel mount. 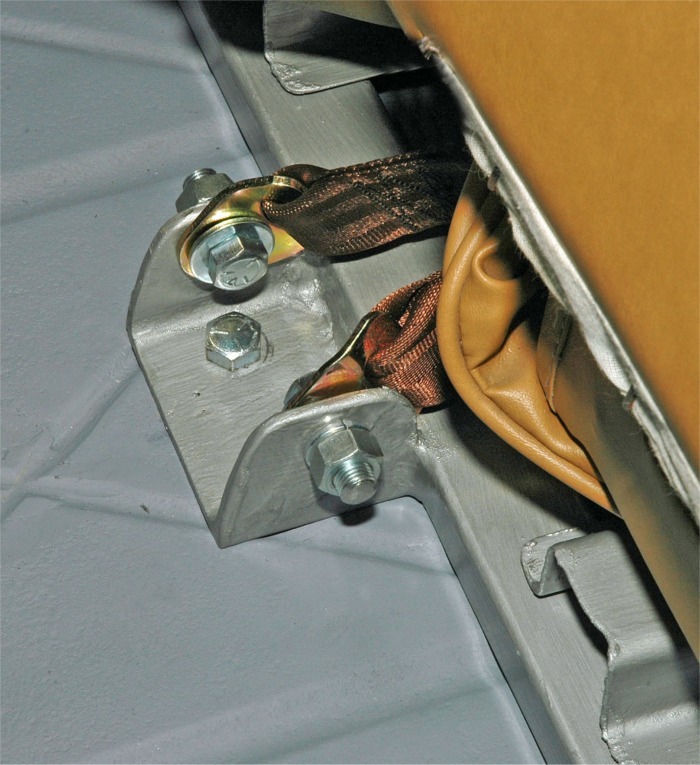 The Juliano's safety anchor plate has a specially rounded form designed to gather and reinforce the sheet metal floor instead of tearing through it. 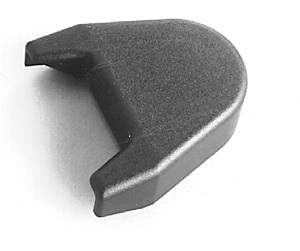 This design also makes Juliano's Safety Anchor Plates ideal for reinforcing seat mounts, too. 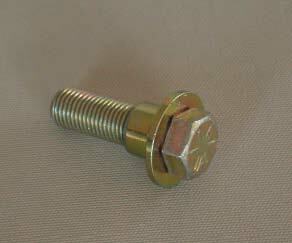 Specifically engineered threaded steel plate comes complete with bolts and washers. Sold in pairs. Dimensions: 2 3/8" x 4 1/2". My roadster has a Glide Engineering split-bench seat that allows individual adjustment for the driver and passenger but is treated just like a regular bench seat. The short belts are mounted on the outside and the buckled belts are fed up through the center. For installation when the seat is adjustable it is slid to the rearmost position. 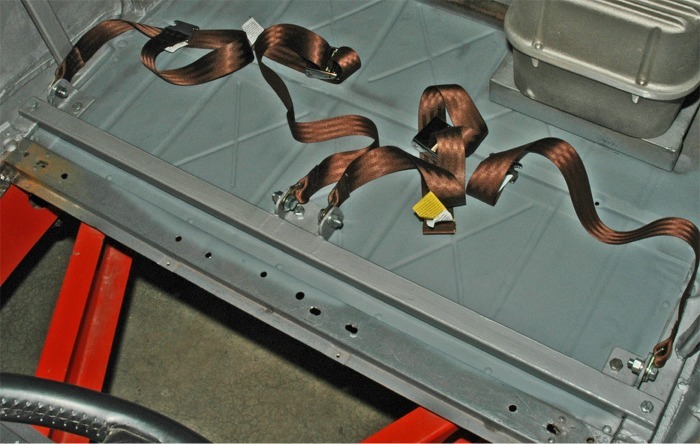 Then the floor behind the seat is marked for the mounting points to assure that the lap belt is pulling downward and rearward at approximately a 70° angle. The attachment points should be spaced 15” to 25” apart so that the lap belt forms a “U” shaped loop when in use. 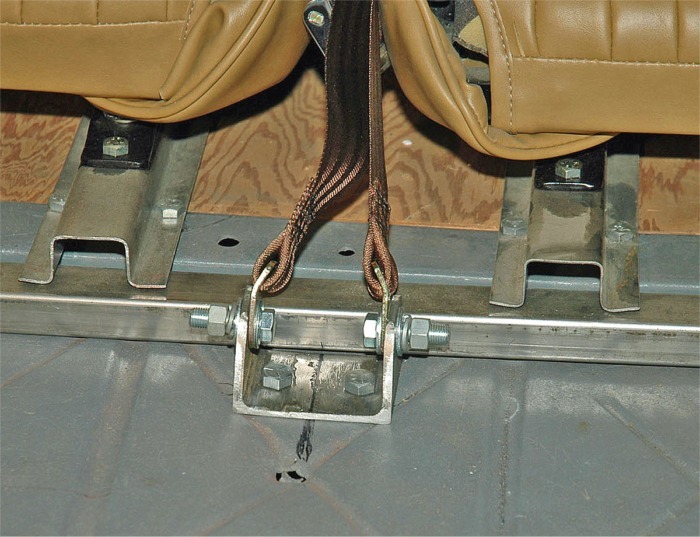 Never attach both ends of the same lap belt to the same anchorage or attachment point. 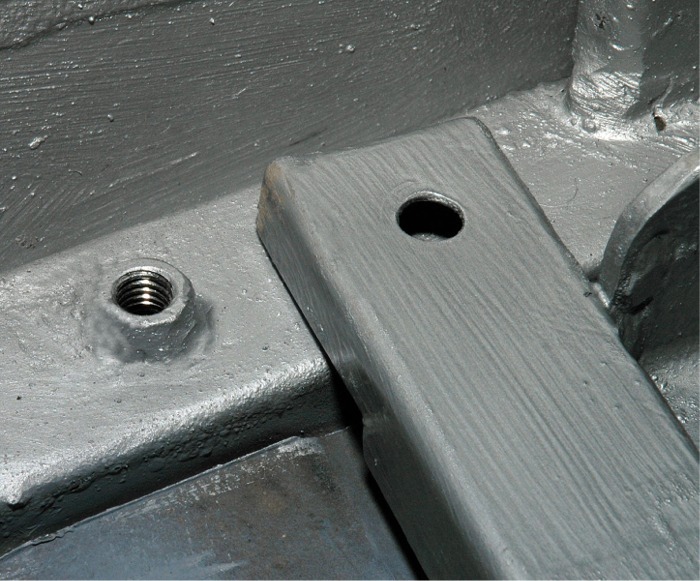 A piece of heavy-wall tubing or u-channel can be used to create strong seat belt anchors. Two 90° angles and a u-shaped center mount provide all of the attachment points. Flat plate was used to make a backup for the center anchor. 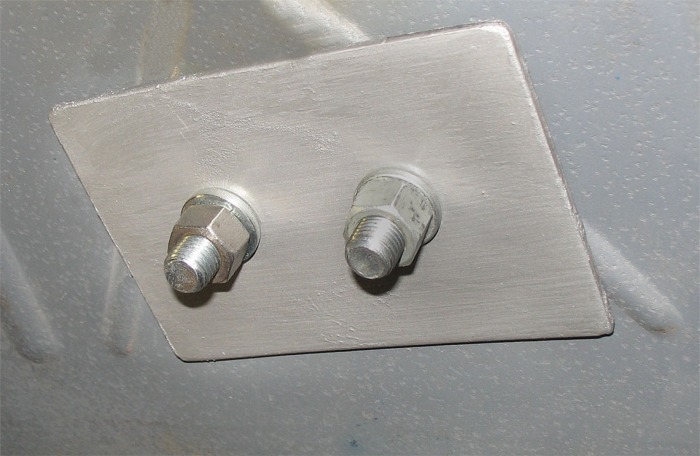 Anchors are positioned against the 1” x 1-1/2” mild steel tubing combination floor support and rear seat channel mount. Holes are drilled in the floor and the anchors bolted in place. Then the anchors are tack-welded to the tube. 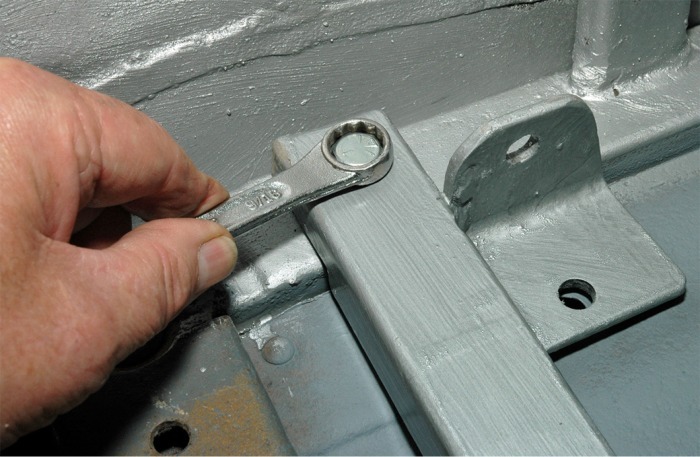 The left and right anchors fit flush against the tube and body side channel. Belts were installed to confirm clearance. Dual mount is centered and attached to the floor, flush against the tube. Manufacturer mounted seat belts use a shoulder bolt that allows the belt to swivel freely. 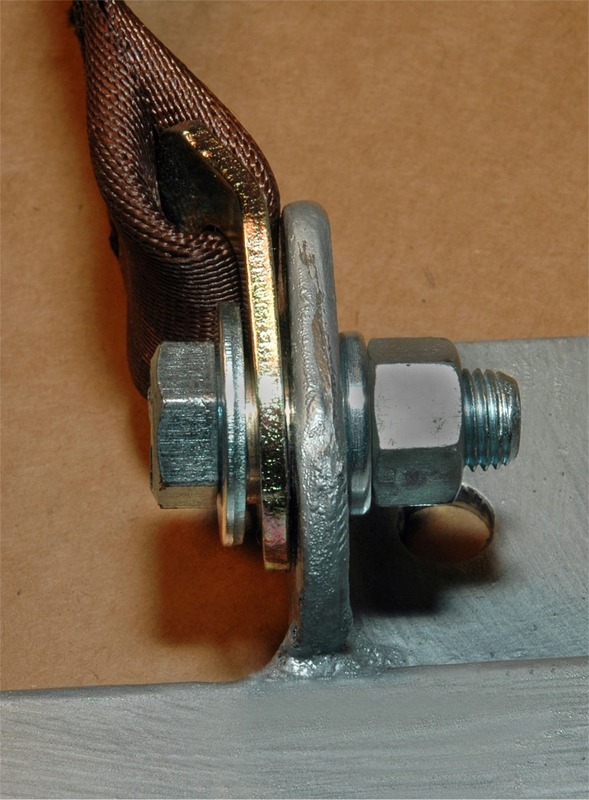 When using regular bolts to attach the belts a brass bushing, cut to the proper width, can allow the belt to swivel like a shoulder bolt would. This angle shows the gap created by the bushing that allows the belt to swivel. The cross tube was notched at both ends so that it sits atop the side rails and flush against the floor. 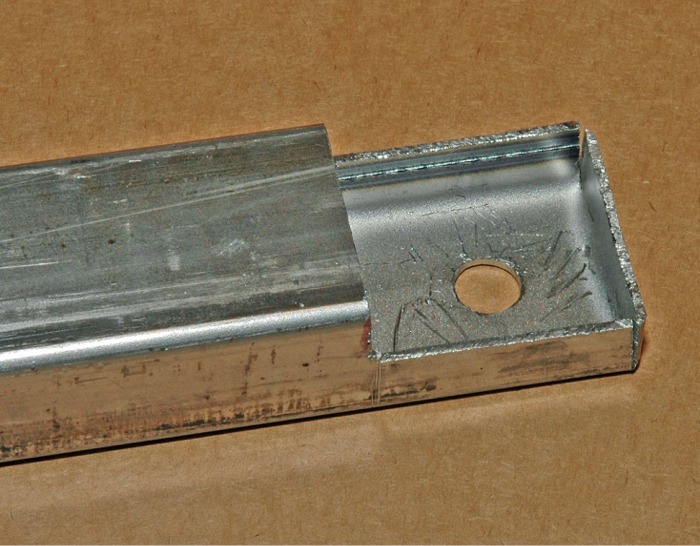 A nut was welded to the body side rail so the cross tube could be attached on each side. Bolts attach the tube to the body side rails. 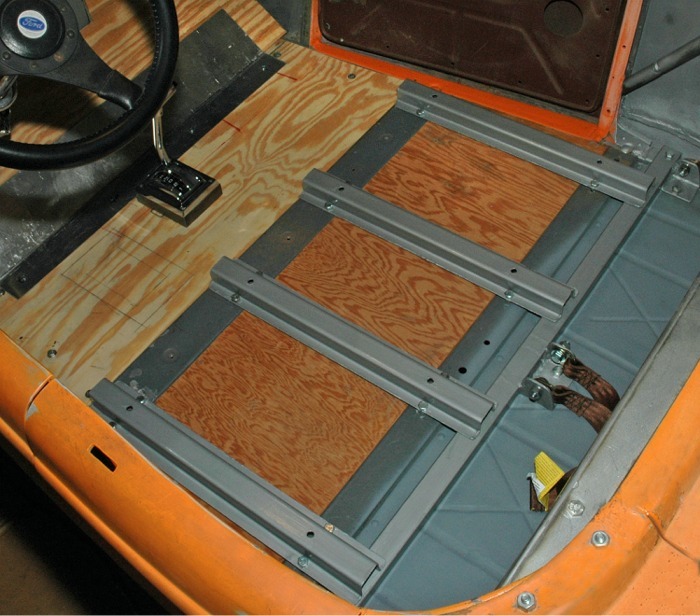 Anchors for the short belts on each side bolt through the floor alongside the body side rail. Side belt anchors are reinforced on the underside with large round washers that have been trimmed for clearance with the body side rail. Center anchor serves as an attachment point for both belts with the buckles. They pass through the center between the cushions, but would fit between the bottom and back cushion on a standard bench seat. The center anchor is reinforced on the bottom of the floor pan by this steel plate. 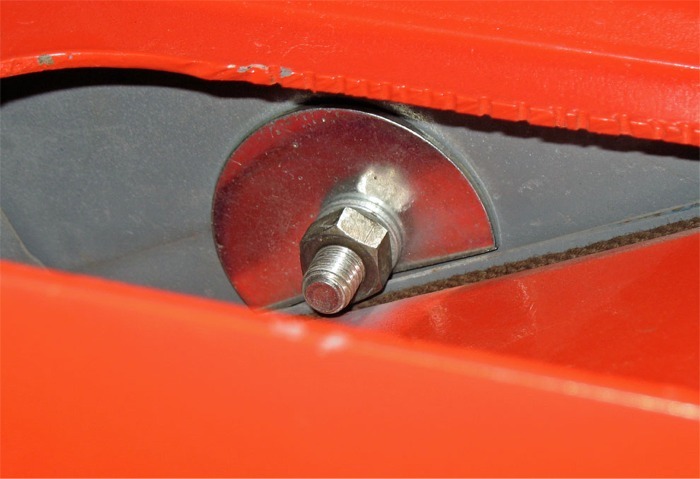 Belts are attached using a bolt, nut and lock washer spaced by the brass bushing that allows the belt to swivel. This is the finished mount with the belts installed. Together the tube and mounts provide additional support for the floor. Seat mounts were made from hat-shaped channel normally used to make uprights in the sides of box trailers. Cross tube serves as a rear seat mount support and raises the channels to adjust the seat height at the rear. Seat belt retractors take the slack out of the short belts when not in use. On a ’32 Ford roadster they fit up against the inner trim panel, which keeps them from interfering with entering and exiting the vehicle. 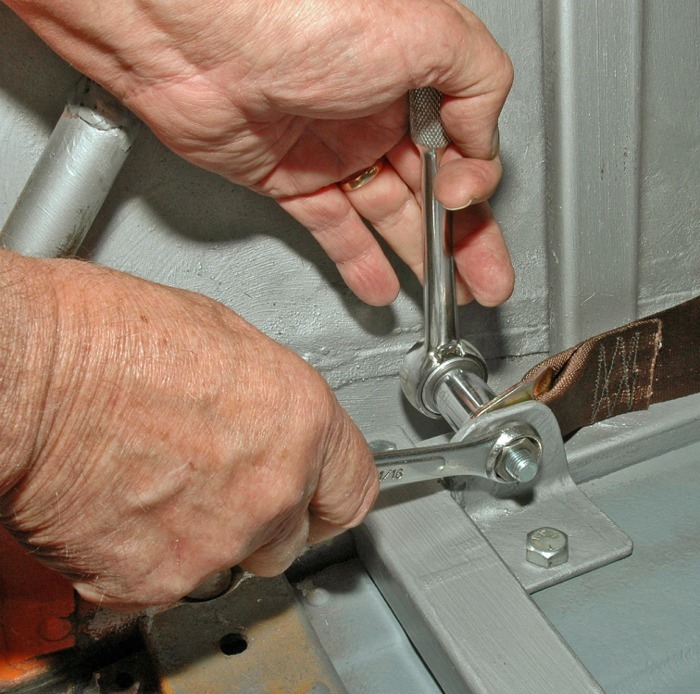 Keep it neat with these handy clip-on retractors. Rolls up belts to keep them from falling out when you open the door. Also great for rear seats. This kit is typical of the kits that they offer. This kit includes everything that you need to properly install your retractable lap belts for bench seats. 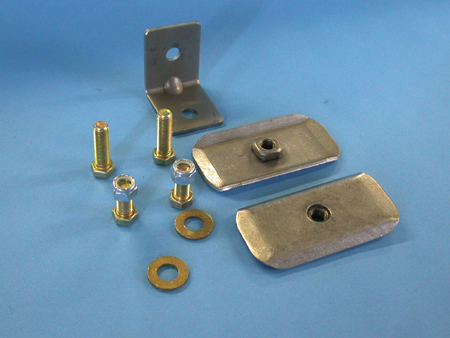 It comes with anchor plates, L brackets, and all the nuts, bolts and washers to complete the installation. One kit needed per person. 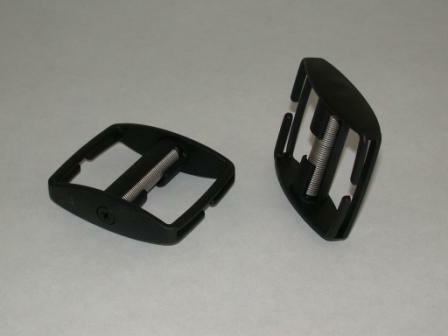 JULIANO’S CLIP ON SEAT BELT BOLT COVERS – SOLD AS A PAIR. 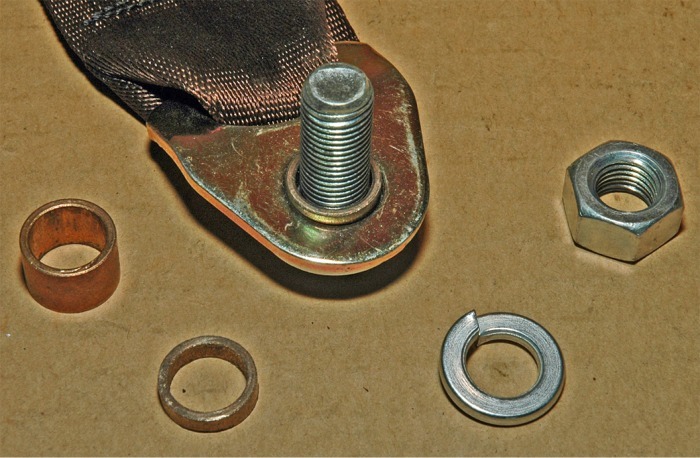 Cover up those ugly seat belt bolts with these neat looking bolt covers. They snap right on the head of the bolts that come with the seat belt hardware kits. Sold as a pair. Available in black, gray, charcoal, tan, blue, maroon and taupe. Seat belts are one of the most important safety devices on any motor vehicle. Early model cars and trucks were not equipped with them but they are a necessity on the fast paced streets and highways that we drive on today. Three-point belts offer the most protection, though lap belts may be the only practical alternative in a small open car. 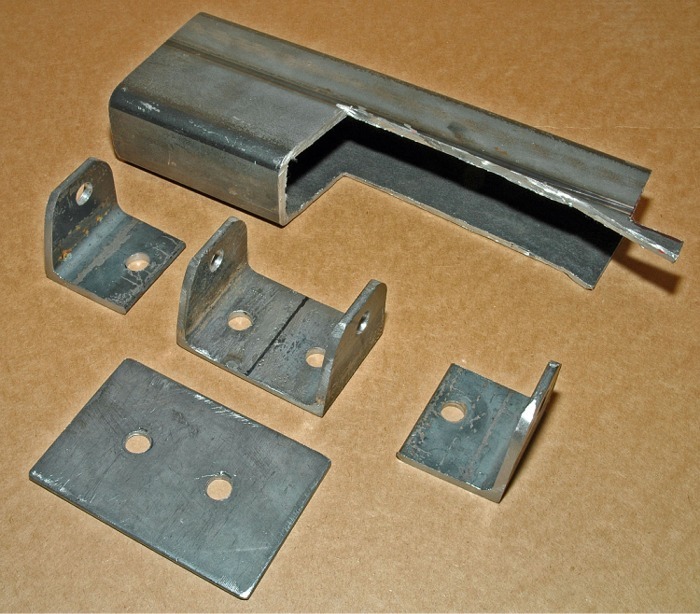 Good inexpensive kits are available for mounting a set of seat belts, however adequate mounts can be made from tubing, steel plate and the proper hardware. So when seat belts are properly installed it is not necessary to sacrifice safety while driving a traditional hot rod.